Do go to Ash is the Purest White. Let’s look at the tough part of this new film that is earning excellent reviews from the pros. The Chinese language pulls our eyes to the running translations at the bottom of the screen. That means we miss some important facial expressions and quick behavioral actions that are key to the culture and dialogue of this very good movie. Aside from those hurdles we see some grand acting by Tao Zhao as Qiao and Fan Liao as Bin. As we watch their tale unfold, we are given several parts of China as Qiao makes her way through a tough journey. Watching the behavior, the gestures, and the intermingling as the landscapes and cultures change becomes progressively interesting as we get to know the main characters. Qiao and Bin are a couple who oversee a gang of crooks with their own set of principles that they apply harshly. We meet Qiao as she strides with confidence through the mob. Bin asks the mobsters only that they behave with decency toward each other. We are suddenly on the inside of this gang of crooks where guns are illegal and smoking is ever present. When Ojao violates the legal system in a big way, she goes to jail for five years. On her release, she crosses the country again in search of Bin and hands us another chance to see a piece of China. As we follow her journey, we see differing cultures, writings, illustrations, habits. And yet they, and we as we watch, are all human beings figuring out their lives. The differences between our cultures and theirs seem so great and yet here we all are on the same round earth, many countries touching others, citizens alike with similar bodies that allow us to function in like ways. It’s our brains, every single one different from every other, that make us individuals. But how is it that neighboring countries – Canada/America/Mexico here, or China/ Russia/North Korea there – live just steps across border lines and yet have thoroughly different cultures and languages? That’s the fun of watching this movie. As we follow Qiao on her long journey through differing cultures, China seems new to us in every way and we are very lucky to have her as our strong, quiet guide. Actor Tao Zhao earns a big salute as she creates Qiao’s life. 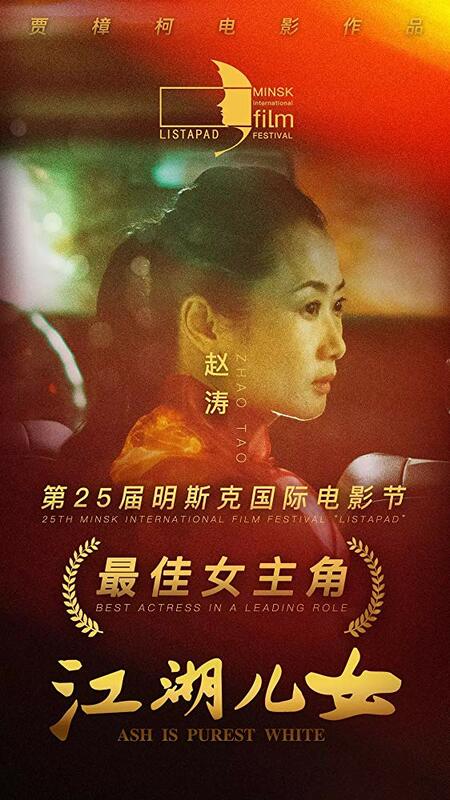 She is a fine actor who earns great credit for leading us through several Chinese cultures. Our time with this film is filled with the details and behavior of those faraway cultures that linger far beyond our leaving the theater. Our guide has given us a tour of various Chinese lands as seen by a young woman searching without money for the man she loves. The surprising thing is that we need no more plot than that as we follow her. A salute to actor Tao Zhao and writer/director Zhanke Jia. This review was posted on March 24, 2019, in Drama, Romance. Everybody Knows hands us a plot that is hard to follow but intriguing enough to hold us. Because there is no way to describe the plot details without ruining the suspense, let’s start with a short description of writer/director Asghar Farhadi’s family drama. Laura (Penelope Cruz), who moved to Venezuela when she married, has come home to Spain for the wedding of her sister. With her are her teenage daughter Irene (Carla Campra) and her very much younger son. Her husband Alejandro (Ricardo Darin) remains in Venezuela looking for a job. 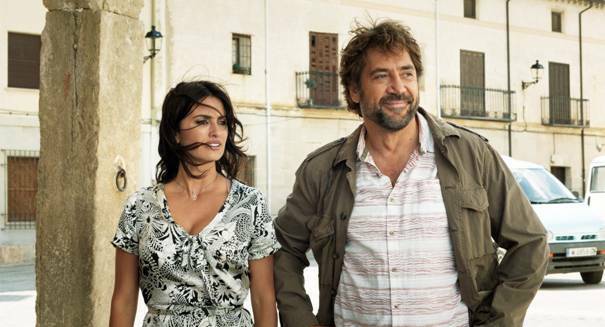 The bearded middle-aged Paco (Javier Bardem), an old friend from long ago, is one of the guests. Laura’s daughter Irene immediately locks eyes with a young man. When she leads him to play with risk in the clock tower, we know Irene is deeply driven by a streak of rebellion. Quite suddenly, during the wedding and the early scenes of the movie, she is kidnapped and the wedding itself turns into the scene for the whole complex plot. We watch the relationships unfold while wondering whether the kidnapper is part of the assembled crowd. A sudden storm knocks out electricity and bathes the whole in candlelight. How can a murder mystery in candlelight be anything but fun? As you watch the beauty of the wedding, the church and the guests, the question of who the kidnapper is takes second place. We know director Asghar Farhadi will give us that answer when he’s ready. Against this grand portrait of a Spanish location, you have a scared mother, a missing daughter and the mother’s relationship with the wedding guests. All are delivered by good actors in a somewhat murky story script. Why does no one report the disappearance of young Irene to some authority? The only possibility is that this provides the backdrop for the revelations that are unfolding gradually. We can’t learn who the villain is too early. Irene’s disappearance offers us the time and tools to explore the relationships among the others. The wedding itself becomes a tool that gives us the feel and character of the church, the minister, the wedding, and the town. Toss in the crisis and an arriving husband, stir the plot, and we sit there enjoying the fine acting of the whole cast set in a beautiful place. In addition to an odd plot, we face another problem common to today’s movies. The two bearded Spanish men look alike; the two sisters and Paco’s wife look alike. It’s too easy to excuse this as family resemblance. When a writer drops us into a crowded wedding in an unfamiliar country, he shouldn’t give us the added burden of casting a crowd of guests and principals who look alike. We forgive him because the pace is brisk and he gives us a good story full of actors who deliver the story so well that we’re glad we came – even if we can’t tell them apart. This review was posted on March 17, 2019, in Crime, Drama, Mystery/Suspense.